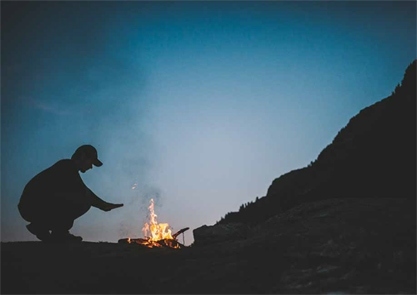 energy where it’s needed most – in your feet. Find the Right Tool for the Job. and we'll find a pair that's a perfect fit. Our boots and shoes are made to perform. we'll make it right with our 60-day guarantee. 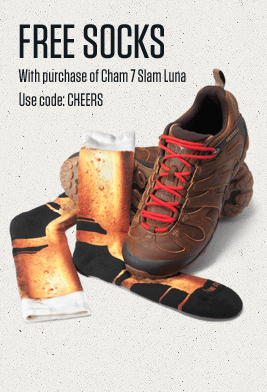 Protect your feet from the daily grind. Tie on a pair of composite toe work boots from Merrell, and feel the difference of a precision fit, all-day support and advanced performance – GUARANTEED. Our trusted line of Merrell Work boots and shoes are made with non-metallic composite safety toes and our exclusive M-Select™ GRIP rubber outsoles so you can enjoy lightweight electrical hazard protection and the ultimate traction on oily, wet or slippery surfaces. Find composite toe shoes in a range of styles you can sport from the job site to the office, all designed to meet the toughest demands while being comfortable enough to wear every day. Our KINETIC FIT™ Elite footbeds offer targeted support and cushioning, while lightweight nylon arch shanks and toe plates keep feet secure and flexible in all the right places. 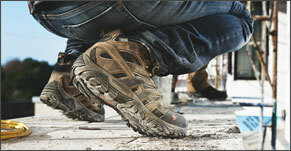 Advanced air cushion technology in the heel of each Merrell Work shoe improves shock absorption and stability. 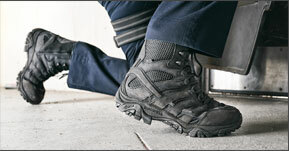 For all-weather performance, choose a waterproof composite toe boot featuring a seam-sealed M-Select DRY membrane. Models with breathable mesh uppers offer the cool ventilation you need to keep going on the hottest days you have to spend working outdoors. Stay safe on the job site. Search our selection of composite toe work boots by size, style, color or benefit to find footwear with the exact features you need to get the job done. 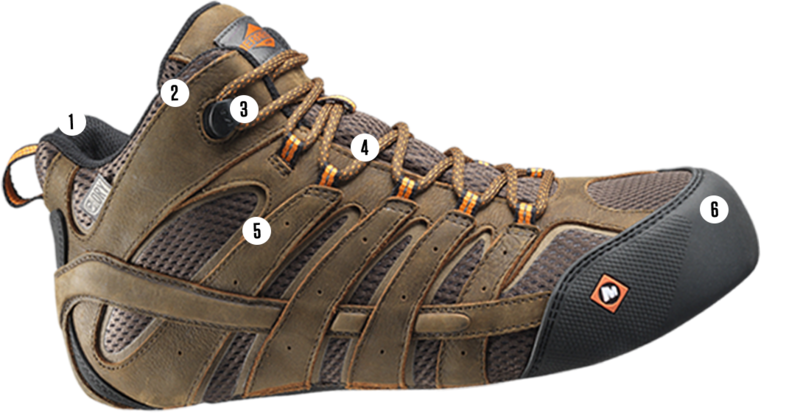 Conquer tough tasks in rugged industries and environments with the protection, reliability and performance of the best composite toe shoes from Merrell Work.